SECO International holds its annual Congress each spring. The Congress is the leading source for world class optometric education in the country. Optometrists and optometric staff from across the United States and around the world meet in Atlanta to learn about the latest research, innovations and techniques in the optometric profession. SECO is the Education Destination for optometrists, optometric staff, students and residents. 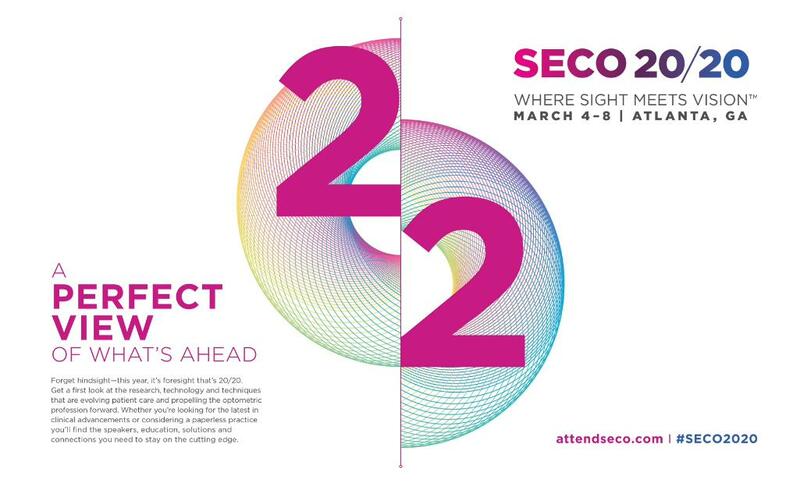 SECO 2020 is scheduled for March 4 – 8, 2020 at the Georgia World Congress Center in Atlanta, Georgia. Education is critical for optometrists and SECO's is second to none. Courses cover the latest scientific and clinical advancements, key practice management issues, and hands-on learning. Optometrists can choose from hundreds of hours of education in lecture courses, hands-on Learning Labs, state-of-the-art Special Sessions and more. Great optometric practices need a great team! SECO offers the entire optometric practice the education and skills to be at the top of their game. Opticians, paraoptometrics, business/practice managers, optometric technicians and ophthalmic medical personnel can choose from nearly 200 hours of high-quality education. A major part of the SECO Congress is our exhibit hall, Optometry's Marketplace at SECO™. Explore the latest products and services from 250 of the best, most exciting companies in optometry. There are also prizes, giveaways, receptions and opportunities to earn free CE.